This Chakra is connected to our emotional body, our creativity and our sensuality. It is important when doing energy work to ensure you are fully grounded. 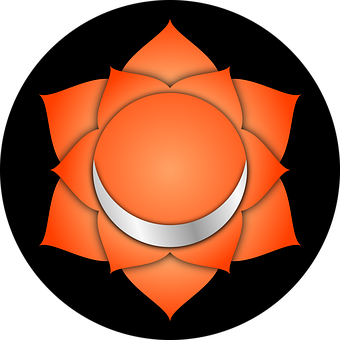 This is the Chakra that connects to our sexuality, our fantasies, relationships, feelings and emotions. It is also associated with our pleasure centre. Hence the association to relationships, sexuality, sensuality and fantasies. It is also connected with our excretion, due to it's location, This also represents our sexual self. It is closest to earth so is associated with earth symbol as well. The Sanskrit name is Svadhisthana. Working with your Sacral Chakra you would be best suited to use orange crystals. Hold them in your hands carry them with you, wear jewellery with orange stones in, place them just below your belly button whilst you meditate. Walking in nature or on grass without footwear helps ground you. It brings your chakras into balance. Do it regularly to see the difference.